Upper Air circulation upto 5.8 KM above mean sea level persists over equatorial Indian Ocean and adjoining Sumatra Island. Due to moistured easterly waves, Coastal areas of Tamil Nadu and Pondicherry , particularly areas from Tiruchendur to Pondicherry might receive moderate rain tomorrow evening/night. 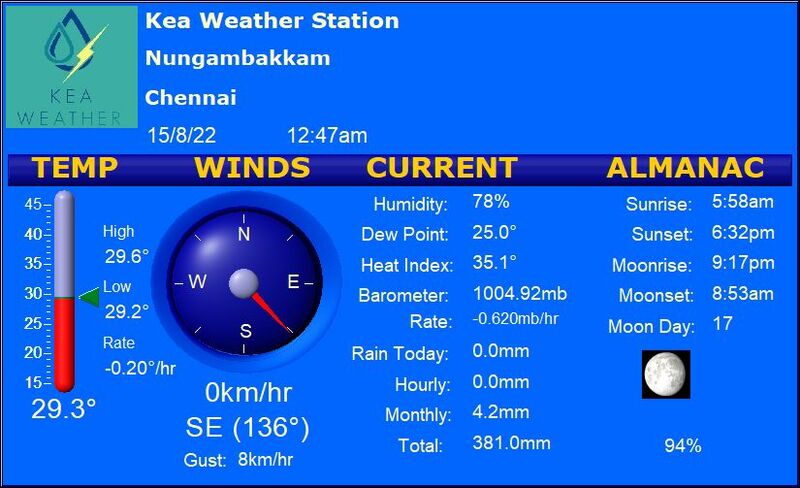 Parts of south Chennai can expect light to moderate rain from Thursday night. Dry and cold weather would prevail over all parts of south India including Tamil Nadu, Pondicherry, Karnataka,Andhra, Kerala and Telangana today. One or two places over coastal Kerala might have light rain.